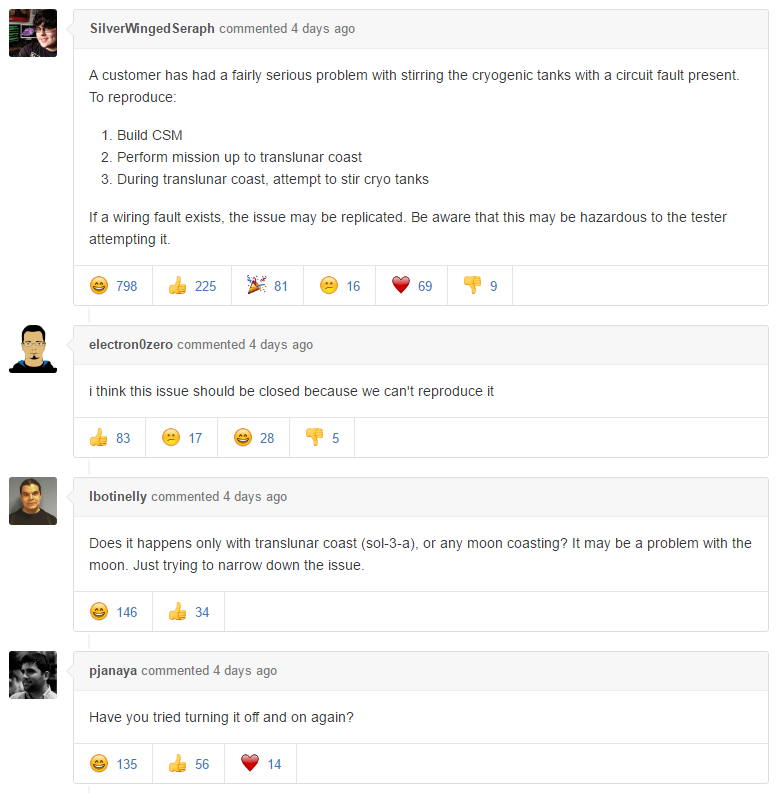 Apollo 11’s Continuity Check on O2 Cryo Tanks Results in Hilarious Bug Report « Adafruit Industries – Makers, hackers, artists, designers and engineers! 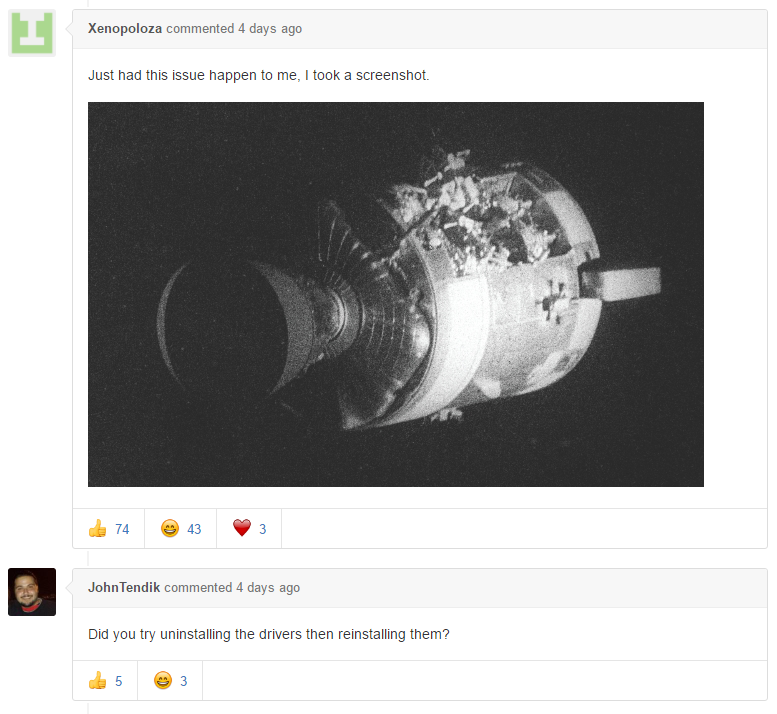 Last week we reported on Apollo 11’s source code being released on GitHub. As quickly as the source went live bug reports began flooding in, of the ‘lol’ variety. Have a read through the comments yourself but you have been warned, you will be rolling on the floor in 5, 4, 3….